If you are a regular user of the internet, and have a hidden passion for efficiency and being as productive as possible during your daily life, then the chances are that you will have encountered IFTTT in the last three years. The If This Then That service allows users to connect their individual channels to custom created recipes in order to bring a certain level of automation to what used to be fairly repetitive tasks. 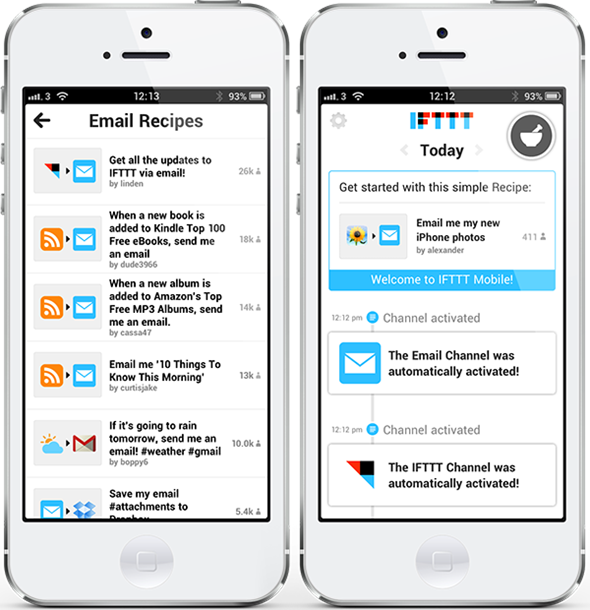 The service has been growing in popularity with internet users over the years due to its ease of use and ability to interact with various social channels, but the launch of the official IFTTT iPhone app is sure to propel the service’s popularity to new levels. The introduction of the IFTTT app not only means that iPhone users can now natively access the power of the service directly from their device, but it also means that the device itself will seem a lot more powerful thanks to the automation the service brings. Before we all get excited and carried away with the app, it is worth noting that the initial release brings fairly restricted connectivity between "channels" and "recipes". Although the app is set to expand and offer additional functionality, the first release brings with it the ability to deal with contacts, photos and reminders. The development team behind the IFTTT app have clearly put a lot of work into the release. The initial tutorial is nothing short of parallax perfection and immediately makes you want to dive right into the contained functionality. However, you will realize in between that the software is limited by what Apple allows developers to do with their apps. Creating links being channels and recipes – such as setting the service to upload all captured images to Twitter or Facebook – is straightforward, but due to background permissions and limitations, the recipe doesn’t actually get performed until the If This Then That app is manually invoked. Android users will be pleased to know that their coming soon variant of the app doesn’t suffer from the same limitations brought about by Apple’s walled garden. Still, users who have previously championed the IFTTT service should have great fun setting up the freely available iPhone version and seeing what it’s capable of in its current form.